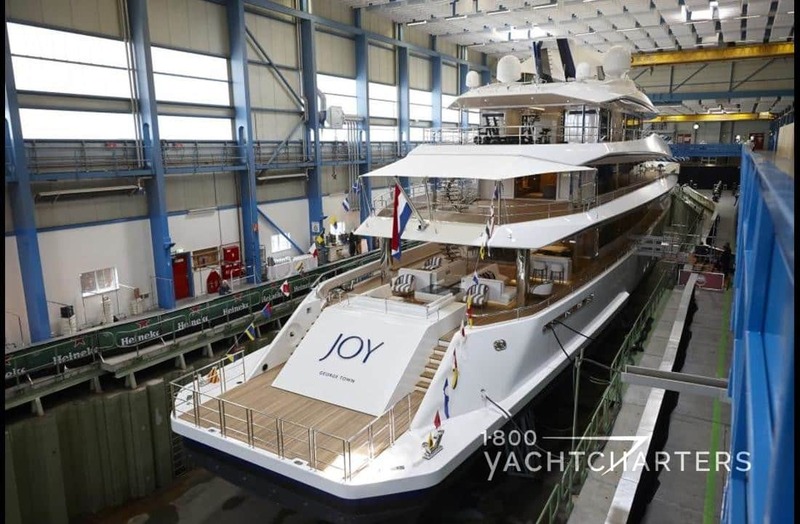 Posts tagged "Monaco yacht charter"
We just received word Alloy sail yacht VERTIGO has committed to accept charters in Patagonia and Antarctica, starting February 2016. Rates are set at Euro 295,000 per week plus running expenses for a maximum 12 guests. 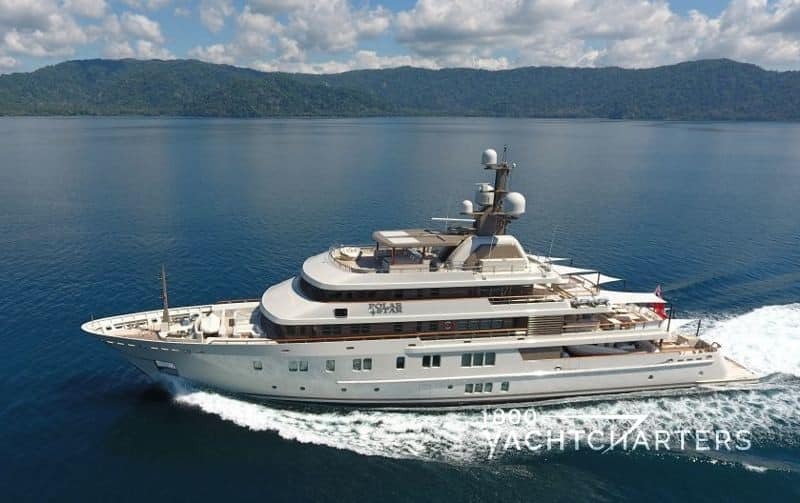 Having recently wrapped up her Monaco yacht charter season, the luxury sailing yacht spent the month of October in Singapore for maintenance work prior to her journey to the southern hemisphere in November. 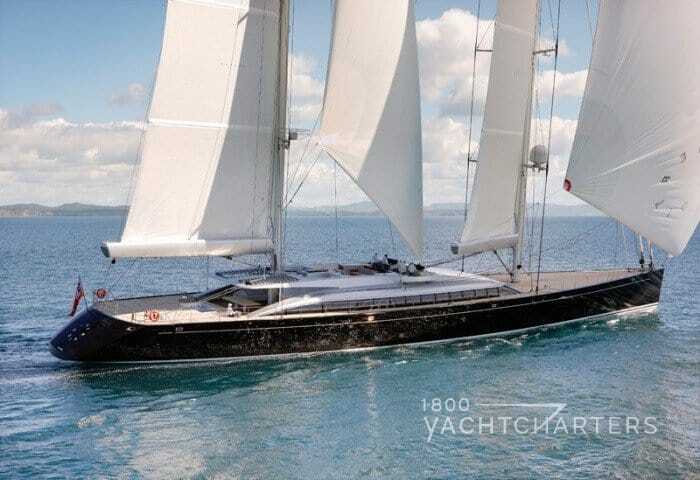 Built by Alloy Yachts, and designed by Philippe Briand, the 67 meter yacht VERTIGO is the largest sailing yacht built in the southern hemisphere. We find the idea of a Patagonia yacht charter immensely intriguing. This is a sparsely populated area located at the southern tip South America, with the western coastline belonging to Chile and the eastern side, part of Argentina. The opportunities for exploration and adventure are numerous, as this region comprises the southernmost portion of the Andes mountains. Just east of the mountains, there is great bio-diversity with deserts, steppes, and grasslands. The western coast of Patagonia borders the Pacific ocean, and the eastern coast borders the Atlantic ocean. 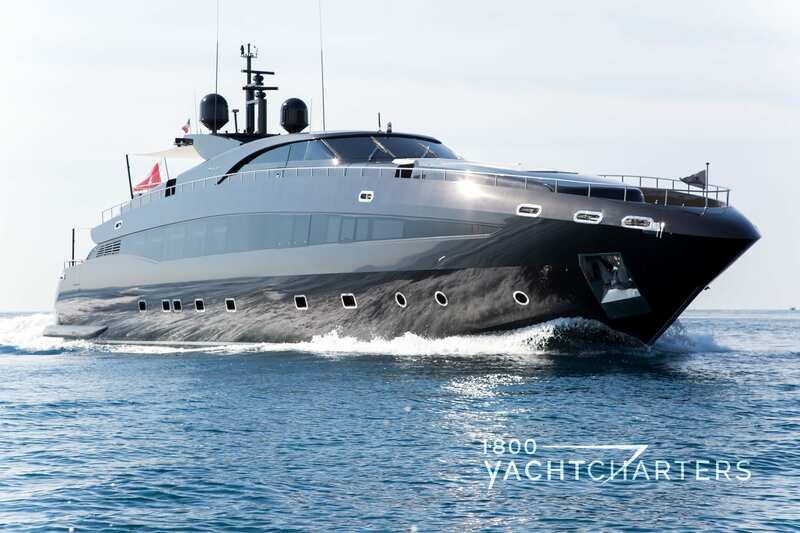 Seen for years cruising the Med, the sleek black-hulled superyacht owned by Roberto Cavalli was only enjoyed by the Italian designer, his family, and a handful of his closest friends – until now. 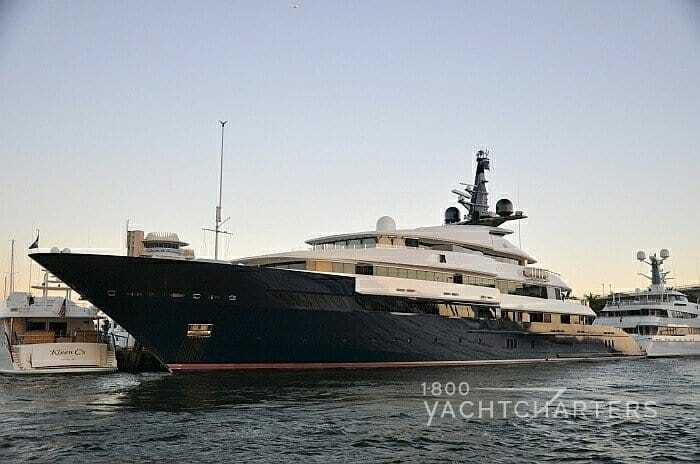 Cavalli ended up selling her (originally named motor yacht RC) and after a two year major interior refit, the vessel has re-emerged as Baglietto motor yacht ABILITY. 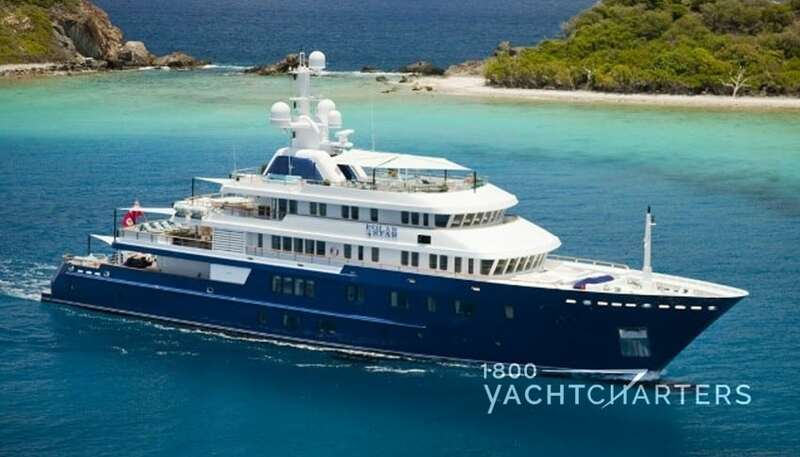 The summer 2016 season will mark the first time the well-known yacht is available for private luxury yacht charter rental. The new owner pays homage to Cavalli with a signature refit by interior design artist Mary Georgiou. 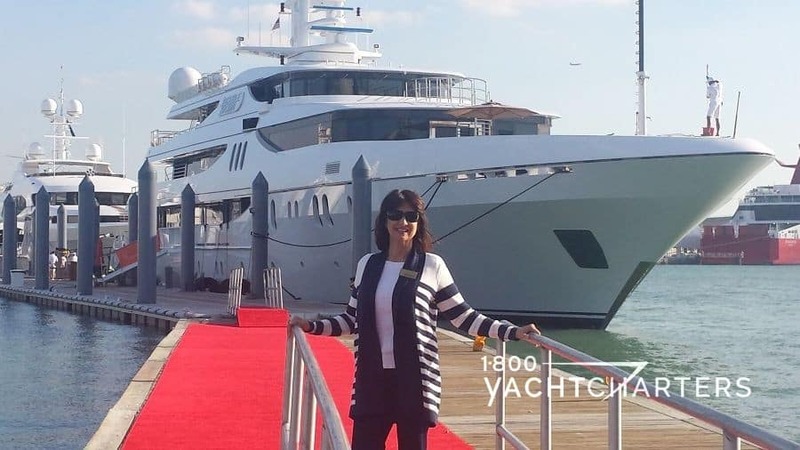 Known for exotic prints, the fashion designer’s former yacht now radiates modern Italian style. Décor borders on excess, with flamboyant textiles, gold leaf lamps, and African tribal and Grecian art. A touch of abstract art here and there ties the scheme together as sophisticated and modern. Rich wood floors and furniture, along with the abundant use of animal prints and faux fur offer warmth to the yacht’s sleek, angular lines. Accommodations for 10 guests are offered in 5 cabins, including a master stateroom on the main deck, and 4 guest cabins below deck. Quickly zipping from port to port is a breeze on yacht ABILITY. How about breakfast in Genoa, and lunch at the Yacht Club Costa Smeralda in Sardinia? 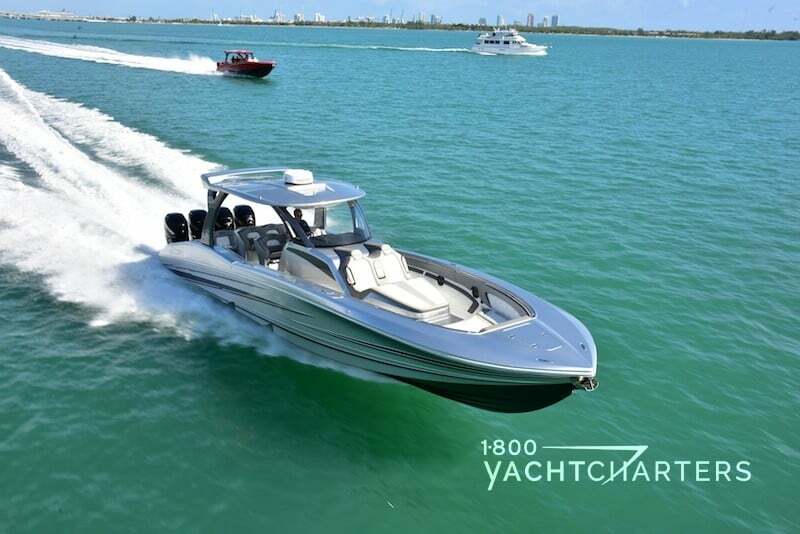 While itineraries like this are beyond the same-day reach of most superyachts, powerful waterjet drive engines propel this bullet-looking yacht at speeds in excess of 30 knots. 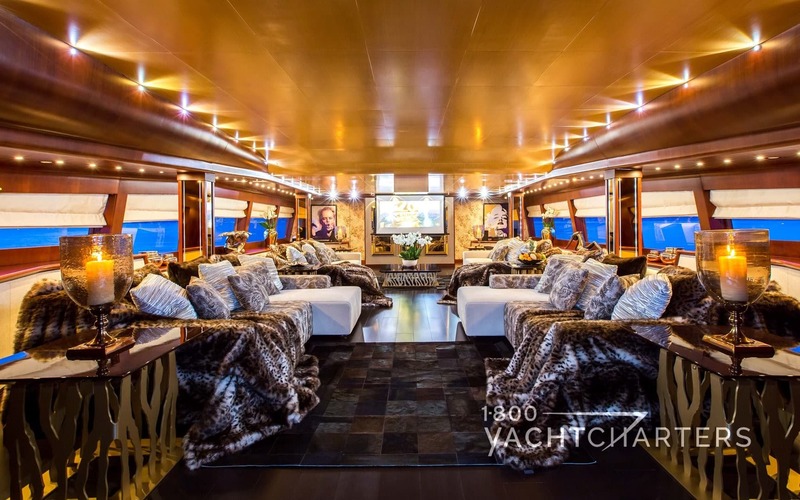 If exotic couture is your thing, the Cavalli-inspired motor yacht ABILITY is the perfect vessel for your upcoming summer Italy yacht charter adventure. 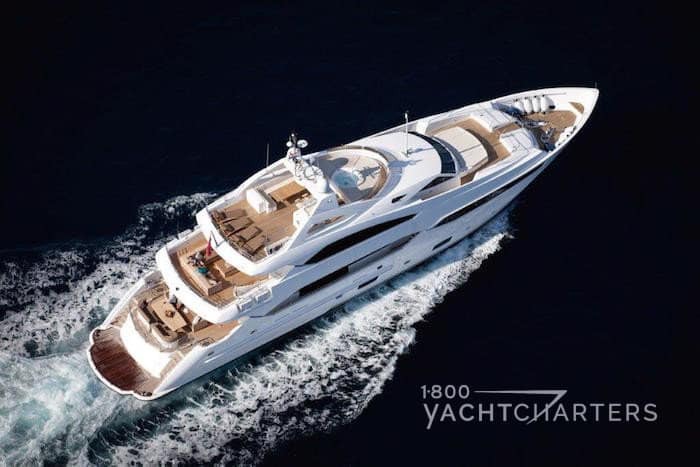 With over 100 private luxury charteryachts available this summer, 1-800 Yacht Charters has an option for every budget. 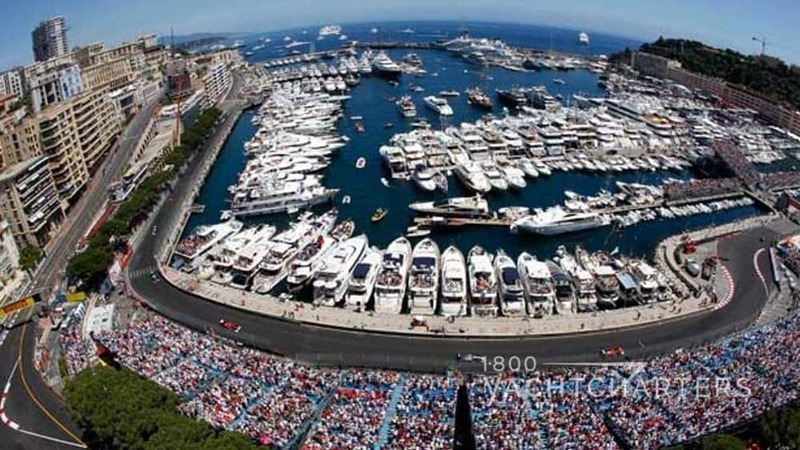 To plan your Côte d’Azur getaway, contact us at 305-720-7245, email info@1800yachtcharters.com, or submit our online form here. The opportunity to explore the fabled Côte d’Azur has never been more affordable, thanks to a special late-summer discount on motoryacht CELECASOR. 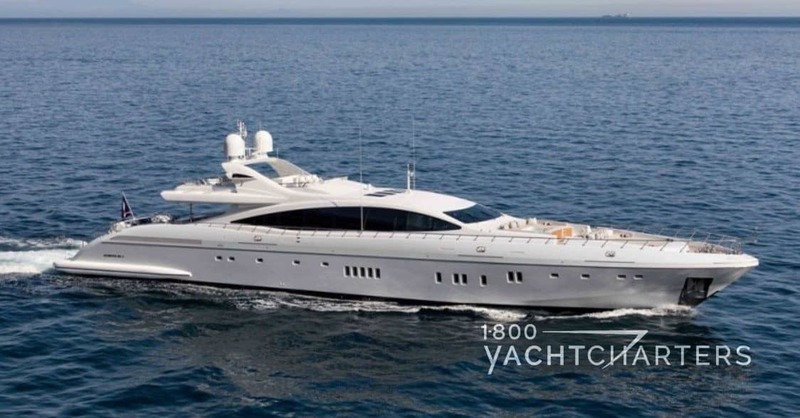 For the remainder of the summer season, the owner of the stunning Mangusta 130 motor yacht CELECASOR is offering a “2 for 1” discount – for every day booked, the owner is offering one extra day, free of charge! This is a fabulous offer not to be missed. 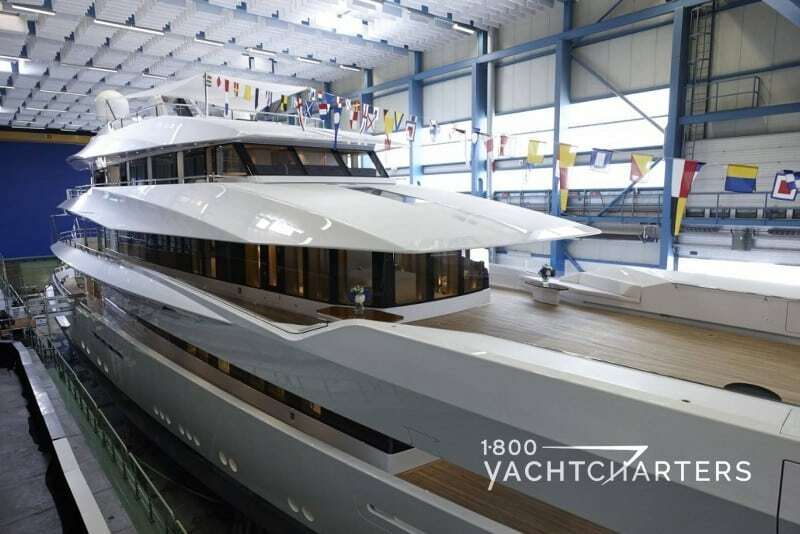 Built in 2006, the yacht is a rocket on the water, capable of cruising at 30 knots. 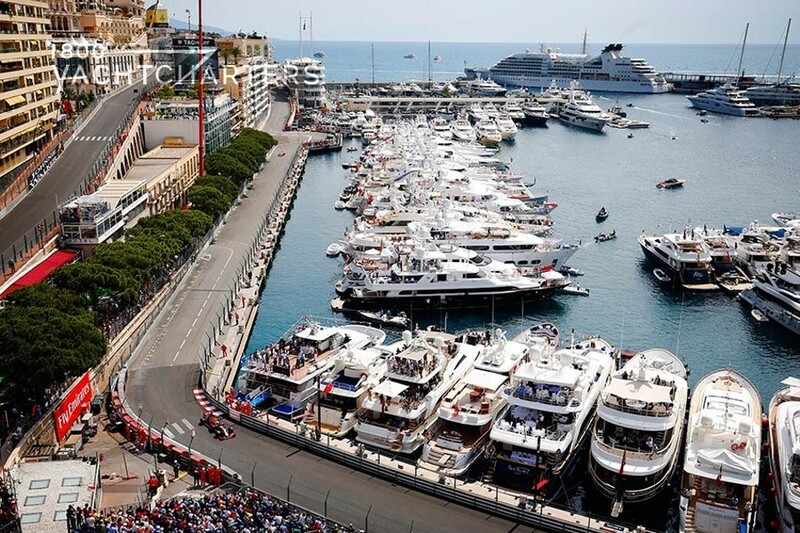 This speedy advantage over most megayachts presents the opportunity to cover the entire French Riviera coastline in a week’s time – from St Tropez to Monaco. 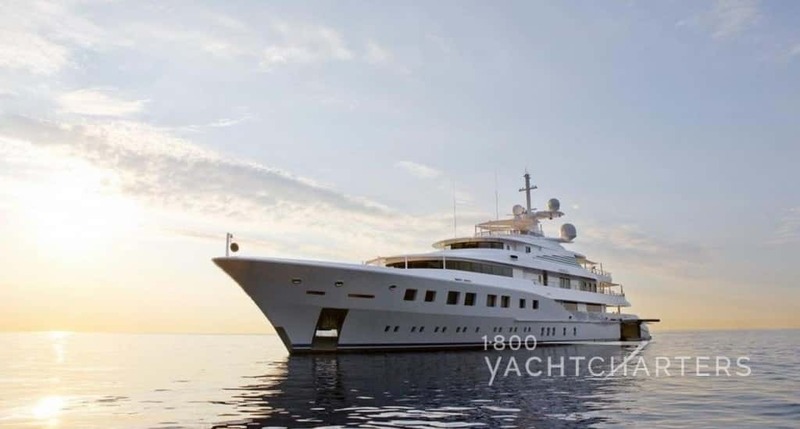 The 130′ mega yacht offers accommodations for 6 to 8 guests in 4 staterooms (3 double, 1 twin). Her sumptuous interior combines dark woods with light neutral fabrics. The spacious deck saloon features a retractable roof and a 2nd saloon on lower deck offers privacy and an escape from the Mediterranean sun. Onboard amenities include a Kaleidescape entertainment system and a full array of water toys. The yacht and her crew of 6 are standing by and ready to go! The boat is based on Imperia. The published weekly rate is €129,500 plus all running expenses. For each day booked, the rate will be pro-rated to reflect the 2-for-1 special. A summer winds down, it’s time to plan a winter escape. Take advantage of great early-bird specials on Virgin Island yacht charters. Contact our destination specialists HERE for more details.